The Treecreeper is a breeding bird of northern and central Europe. In western Europe the Short-toed Treecreeper is more common. The differences between the two species are quite small, the Treecreeper has a whiter belly. The Short-toed Treecreeper has a fairly long, downward-curved beak. 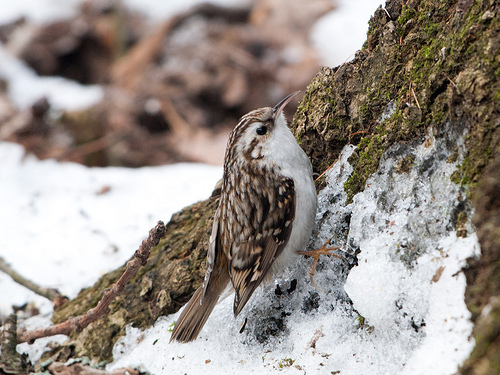 The Treecreeper has a short beak. The belly of the Short-toed Treecreeper is pale-white. 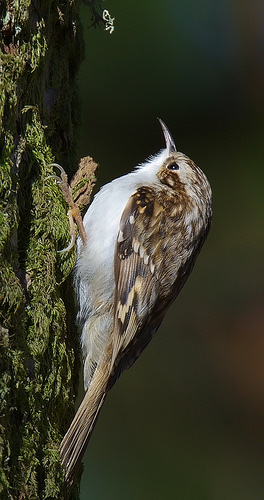 The Treecreeper has a bright white belly.